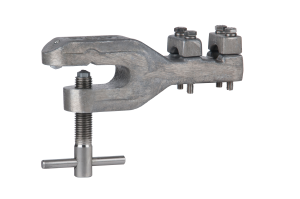 P&B Weir Electrical Ltd’s range of portable transmission line earth clamps are suitable for temporary earthing of transmission line conductors within the range 132kV, 275kV and 400kV. Full portable earths are also available with Aluflex leads and Line end clamps. 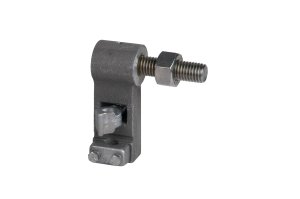 CE10/A2 transmission line earth end clamps are for direct application by hand to steelwork. 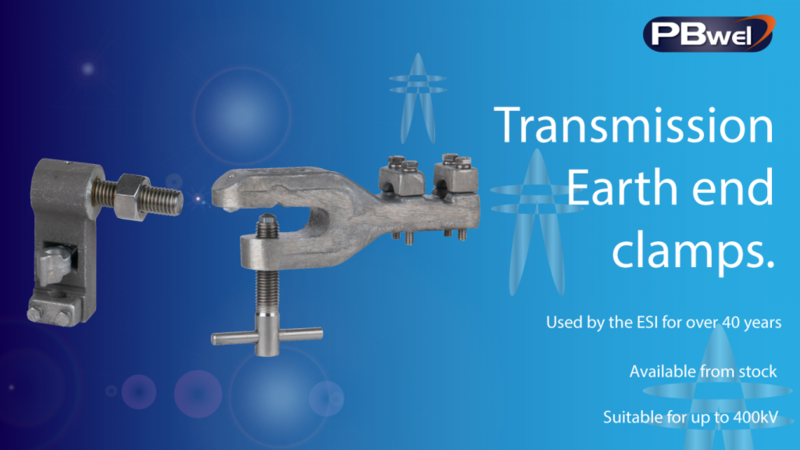 The large thumbscrew of the device has a captive hardened steel tip which penetrates through painted, weathered or non-conductive surfaces and indents into the steel work, ensuring a strong connection to earth potential. The CE18/A clamp is for earthing the line conductor over the tension set insulators to tower arm coupling during maintenance. It bolts to the coupling through the clearance hole for the arcing horn bolt which is removed prior to earthing.